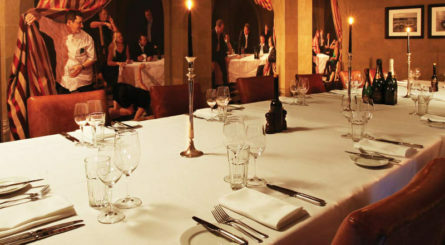 Private dining rooms in Cambridge. Find a venue for hire. Famed for its world-renowned university, Cambridge is just 45 minutes from London by train and a beautiful city packed with rich historical roots and stunning colleges such as King’s, Trinity, and St John’s and Pembroke, each of which come with their own distinct styles, including chapels and impeccably kept grounds. Colleges are a popular destination for weddings and conferences, with plenty of excellent dining options around the city for hosting guests before and after the main event. For tourists, taking riverboats, narrow boats and even punting on the picturesque River Cam is also a favourite pastime, as is cycling round this atmospheric city. There are a myriad of music, science, art and film festivals throughout the year, drawing in tourists and locals alike and it’s also a wonderful destination for shopping, markets and artisan crafts as well as offering a diverse and delicious array of cuisines in some of the City’s fabulous restaurants, pubs and hotels many of which offer beautiful surrounds for private events.